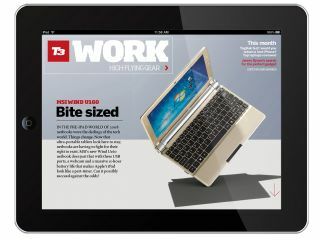 Future Publishing has announced the launch of its first full bespoke digital magazine, with T3: iPad edition scheduled to go on sale in autumn 2010. Future, which also publishes TechRadar, has launched a number of iPhone apps, and is now looking to take one of the UK's biggest tech magazine brands and turn it into a T3 iPad interactive magazine. "As Future's flagship consumer technology brand in the UK, with a highly tech-literate audience, T3 is a logical choice for the company's first fully bespoke paid-for digital magazine for Apple's tablet," explained the company's release. "Future is the UK's leading consumer electronics publisher and T3 is one of its biggest multi-platform brands with 23 international print editions, a fast-growing T3.com website and live events including the annual T3 Gadget Awards." The magazine will launch in the autumn, and go on sale on iTunes at the same time as the magazine arrives on newsagent shelves. Nial Ferguson, Publishing Director for Future's Entertainment & Tech Lifestyle portfolios, said: "The natural synergies between T3 and the iPad create a dream union for both consumers and our commercial partners. "Our research tells us that T3 readers are high-spending early adopters, who are already voraciously consuming media on the platform. "We've worked very hard and liaised with Apple to ensure that T3: iPad Edition will give our readers the quality and authority of the print magazine, combined with the unique interactivity and functionality the iPad platform provides. "Early testing among consumers and commercial partners has been very positive."